This two step waterfall, broken into falls over 27m and 45m tumbles over three ledges into the basin below. 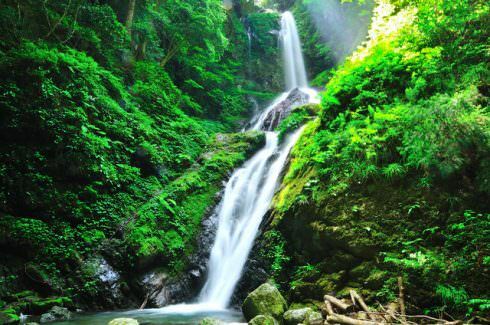 Rated amongst the 100 finest waterfalls in Japan. Take the Tokushima Bus 56 or 57 at the route bus terminal A4 in JR Tokushima Sta. (approx. 60 mins). Get off at the bus stop "Yoriinaka " then walk for 60 minutes.